Previous Post: Fourth of July Challenge Winners! I love the Vine video demonstrating the mantra swirl, it turned out so beautiful! Loving that bumble bee vibe on your mantra swirl! I love your mantra swirl! The colors are fantastic! The mantra swirl soap turned out fantastic! Great contrasting colors and I bet it smells amazing!! The vine videos are such a cool feature. 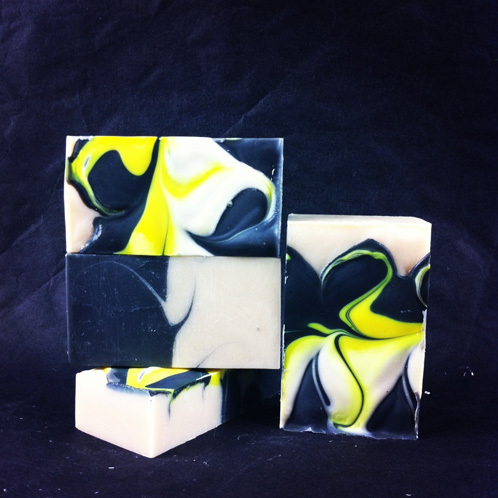 Yes I like the black with yellow mantra swirl soap! Love your mantra swirl, the yellow is a fabulous pop of color! Congrats to all the 4th winners! 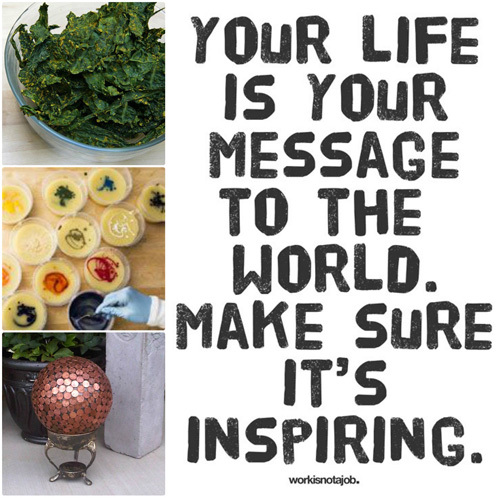 Nice mantra swirl, too! Pretty sure slugs & snails don’t like to cross over a strip of copper in the soil so you place a ring around the base stem of a plant. I think it’s a chemical reaction when touched so they avoid it. That’s still a “pretty penny” ball, though I love the glass gazing balls. So will those of us who have pre-ordered be receiving an e-mail notification? Waiting…anticipating…drooling…paws up & in sitting position! We were so happy with the entries that got featured in our 4th of July Challenge, they were all so creative. Great suggestions, I’ll definitely pass them onto A-M.